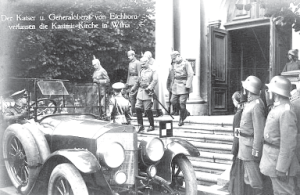 This August commemorated the hundredth anniversary of the start of World War I, one of the bloodiest in history. During the four-year conflict, over nine million combat- ants and seven million civilians died, and the struggle resulted in the demise of several great nation- states. The eradication of the Russian, German, Austro-Hungarian, and Ottoman empires paved the way for major political changes across the globe. The trigger was the June 28, 1914, assassination of Archduke Franz Ferdinand, heir to the throne of Austria-Hungary. His assassination by a Serbian nationalist led to a crisis between the two nations, and when Serbia rejected an Austrian ultimatum, Austria prepared to invade. Prior to the conflict, all the major nation-states in Europe had entered alliances and pledged to come to each other’s aid if attacked. When Russia honored its commitment to Serbia and mobilized its military, France pledged its support. At the same time, Germany mobilized to back Austria- Hungary. According to a prewar battle plan, the Germans would leave a holding force in the east while the bulk of their army invaded France, for an expected quick victory, then turn east to defeat the Russians before they fully mobilized. When German forces advanced through neutral Belgium, England declared war on Germany and sent troops in aid of France to thwart an easy German win, as in the 1871 Franco-Prussian War, but the swift mobilization of the Russians soon spread the fight. The war on the Eastern Front often saw Lithuanians fighting each other in the service of the German and Russian armies. Before the struggle was over, the United States also joined in, and among its soldiers were some twenty to thirty thousand Lithuanian immigrants, who fought with distinction in British and Canadian forces as well. On August 17, 1914, as the Germans invaded France, the Russians commenced a full-scale invasion of East Prussia from Lithuania, easily overran the German border area, and defeated the forces under General Maximillian von Prittwitz at the Battle of Gumbinnen on August 20. As the German army fell back, they were joined by thousands of German and Lithuanian civilians, who fled before the advancing Russians. When von Prittwitz suggested a complete withdrawal from East Prussia, he was relieved of command by Field Marshal Paul von Hindenburg, who executed a brilliant counteroffensive between August 26 and August 30. 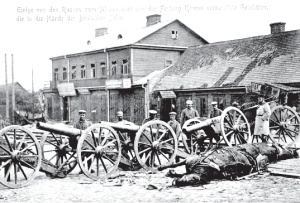 The Germans proclaimed this the Second Battle of Tannenberg, even though the fighting took place some twenty miles west of the original battlefield. There is little doubt this designation was given to counter the major defeat inflicted by Lithuanians and Poles on the Teutonic Knights at the Battle of Žalgiris-German, Tannenberg; Polish, Grünwald—in 1410. The 1914 battle decimated the Russian army in the vicinity of the Masurian Lakes. 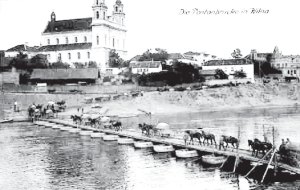 Upon Austria’s advance into southern Poland, the Russians were forced to abandon Galicia. With the onset of winter, the first year on the Eastern Front ended with the German army holding a line along the East Prussian-Russian border and the Russians manning prewar fortifications that stretched from the Baltic Sea to the mountains of Galicia. With the failure of Germany to subdue France, the Western Front stagnated, with advances measured in mere feet and yards. As a result, the German High Command shifted the bulk of its forces and equipment to the more mobile Eastern Front. By early spring of 1915, the Germans and Austrians were prepared for a major invasion of Russia. In April, as a diversion for its strike into Poland and Galicia, the Germans launched an offensive from East Prussia deep into Lithuania. Among the advancing German forces were thousands of ethnic Lithuanians recruited in East Prussia. As the Russians moved north to meet this threat, the main German offensive commenced on the night of May 1, striking towards Warsaw. After putting up a valiant fight, the Russians were forced to retreat on June 17, when the Germans overran the Gorlice-Tarnow fortifications. As the Germans pursued the retreating Russians, they overran Fort Ivang-orod, which was the last obstacle to Warsaw. Evacuated on August 5, Warsaw was free of Russian occupation for the first time in a hundred years. As the Russian line crumbled in the south, the German army attacking from East Prussia renewed its assault on Kaunas and Vilnius. 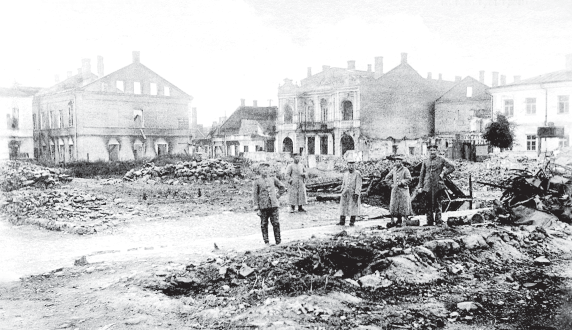 On August 19, 1915, after an eleven-day battle, heavily fortified Kaunas, which was key to the Russian northern sector, fell to the Germans. The fall of Kaunas was quickly followed by the capture of Brest-Litovsk on August 25 and Grodno (Gardinas) on September 2. Although the Russians held Vilnius for nine more days in bloody fighting, it fell to the Germans on September 19, virtually completing the liberation of the old Polish-Lithuanian Commonwealth from Czarist Russia. Among those who fought and died in the failed attempt to hold Poland and Lithuania for the Czar were thousands of Lithuanians serving in the Russian army. As the German army pursued the retreating Russians into Courland, on September 26, the German High Command halted the offensive to stabilize a line running along the Daugava River in Latvia then south from Daugavpils to Pinsk. 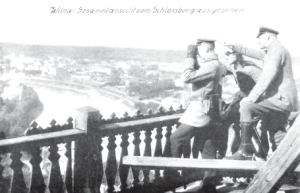 Although the Russians launched a counteroffensive to the northeast of Vilnius in the spring of 1916, they were quickly repelled, and all of modern-day Lithuania remained in German hands for the rest of the war. The Great War not only took its toll of troops, but also caused the suffering, hardship, and death of many civilians. Thousands of Lithuanians abandoned their homes and even their country as the feared “Huns” advanced; but wherever they fled, they encountered major hardship. Disease ran rampant and is estimated to have caused four times as many deaths as combat. Malaria, cholera, and dysentery were epidemic among soldiers and civilians, and contributed to the destruction of prewar society. Thousands of farms were destroyed, causing many to abandon their homes and flee to the forests, where they lived under very primitive conditions, or to excessively crowded villages and towns, which could not handle the sanitation nightmare. Large areas of Lithuania’s forests were destroyed during combat or clear cut to provide lines of fire and materiel for defenses. Many women turned to prostitution to survive, and venereal disease was widespread. The general lack of knowledge and medication not only caused the troops to suffer, but the Lithuanian nation as a whole. 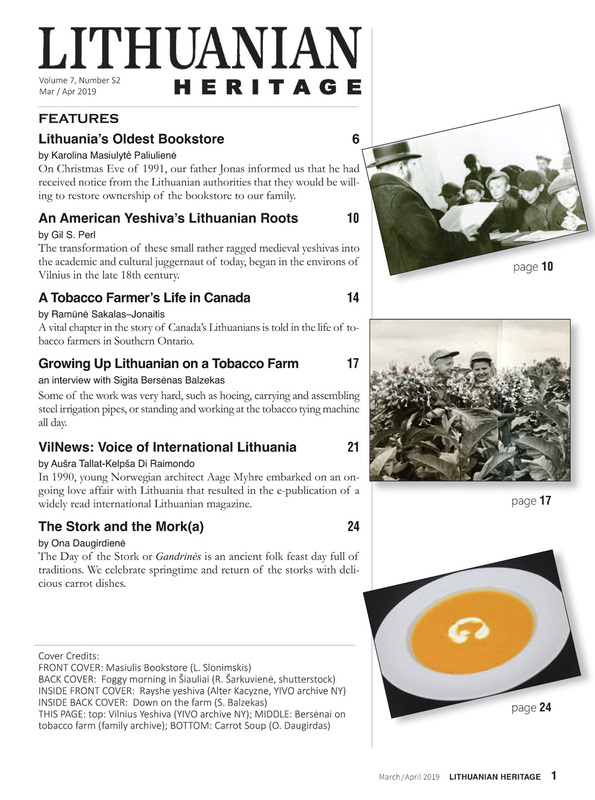 As their relatives and friends suffered and died, Lithuanian Americans initiated a massive fund drive to help them and their suffering homeland. 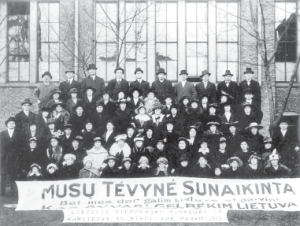 Donations of money, food and clothing were collected throughout Lithuanian communities across the United States. 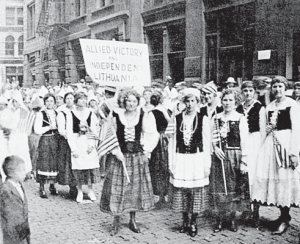 Patriotic rallies were organized in support of the American war effort and to demand independence for Lithuania. The Germans established a military government, the Supreme Command of All German Forces in the East (Oberbefehlshaber der gesamten Deutschen Streitkräfte im Osten—Ober Ost for short), to control its occupied territories. These appointed officials ruled Lithuania, Latvia (Courland), and the Bialystok-Grodno military territories with an iron hand during the war. Among its many decrees was the subdivision of the three territories into smaller districts for total control over all social and economic aspects of life. Families and farms were often divided and travel restricted to such an extent that people could not attend nearby schools or churches. The restriction frequently prevented farmers from taking their produce to market, destroying commerce and their source of income. Although the Germans attempted to win over the local populations, their efforts were frequently counterproductive. For example, their effort to replace ethnic teachers with Germans and local language instruction with German, in the hope this would help integrate Balts and Slavs into German society, largely failed. Fighting stabilized in Lithuania in 1916, but war would continue to rage across Europe for another two years. 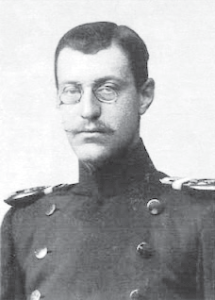 Even with severe loss of lives and territory, Czar Nicolas insisted Russia honor its commitment to its allies, but his campaign to drive the Germans from Eastern Europe only resulted in more defeats. The Russian army became progressively more demoralized, and finally on March 12, 1917, the Czar’s personal guard mutinied and joined the protesters attacking his palace. With the overall breakdown in order, the Czar was forced to abdicate. He was succeeded by a civilian government under Alexander Kerensky, who also failed to comprehend the situation and continued to wage war against the Germans. When yet another Russian offensive failed, the Russian army virtually disintegrated and civil war broke out across the land. Out of the melee, the Communist Party took power and concluded peace with Germany on March 3, 1918. One provision of the German-Russian Treaty signed at Brest-Litovsk was that Russia relinquish all its provinces west of Ukraine. After signing this treaty, the Ger- mans could move a large portion of their eastern forces to France. Although the treaty ended Russian-German fighting, it generated a new fight—between Red armies seeking to retain a communist government and the White armies trying to restore the Czar. As the Russian Empire disintegrated, nationalities in a number of German-occupied territories established their own nation-states, and the Germans attempted to channel these nationalist movements toward their own ends. Thinking the nations they had liberated from over a hundred years of Russian occupation would vote for annexation to Germany, the Germans allowed local bodies to form representative governments. When a German-sponsored State Council of Poland was established, Lithuanian patriots sought similar independence to preclude becoming part of Poland. 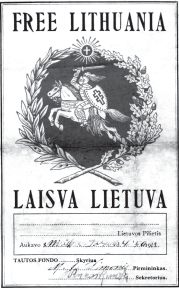 The Lithuanians called a National Council (Lietuvos Taryba), chaired by Jonas Basana-vièius in Vilnius, on September 18, 1917, which to the surprise of the Germans, sought independence. On December 11, the Taryba presented a document to the Germans proclaiming the restoration of a Lithuanian state, followed three months later, on February 16, 1918, with a manifesto declaring an independent state. Although still in occupation of Lithuania, the Germans took no action against the proclamation. They hoped it would result in the establishment of a Lithuanian Kingdom that would seek a union with Germany similar to those of the kingdoms of Prussia and Saxony. The Kaiser even promoted the candidacy of one of his sons to the Lithuanian throne. Realizing the fragile nature of its existence, the Taryba sought ways to work with the German military. But to trump the German effort to link the new Lithuanian state to the Kaiser, the Lithuanians tendered the crown of Lithuania to Prince Wilhelm Karl Herzog von Urach (1864-1928), the son of the Catholic king of Wurttemberg. On July 11, 1918, the Taryba officially elected von Urach king of Lithuania. 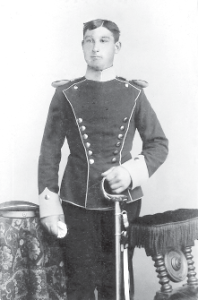 Wilhelm accepted and announced his intention to rule as King Mindaugas II, and even started to learn Lithuanian. However, he never assumed the crown as Ger- man authorities declared the election invalid, and it became clear that Germany would lose the war. On November 2, 1918, the Council of Lithuania reversed its decision. The German armistice with the Allies was signed on November 11, 1918, which annulled the Brest-Litovsk Treaty. Henry L. Gaidis (Gaidys) is Military Curator of the Baltimore Lithuanian American Museum and Historian of American Legion Lithuanian Post #154, Baltimore, MD. 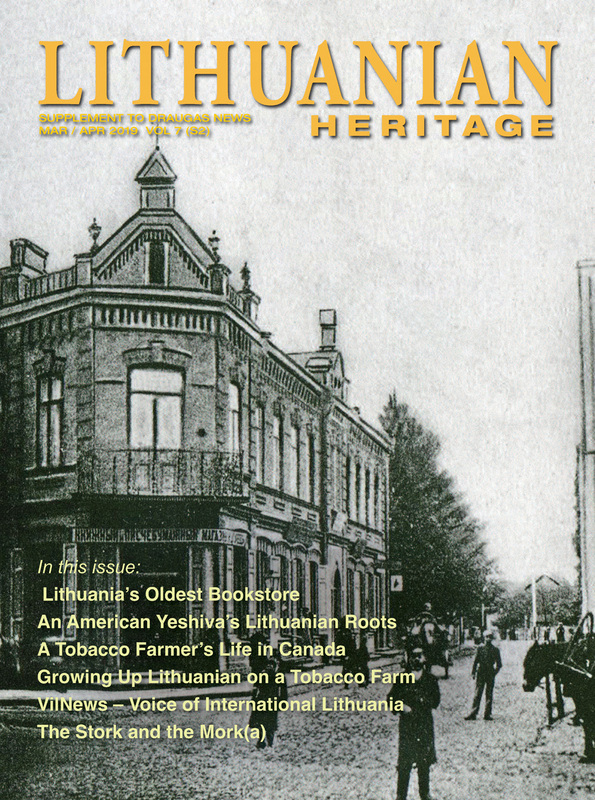 He is a regular contributor to Lithuanian Heritage.